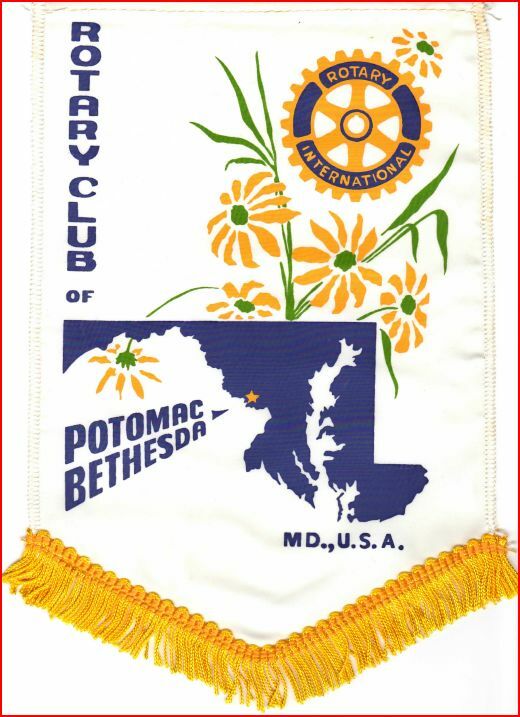 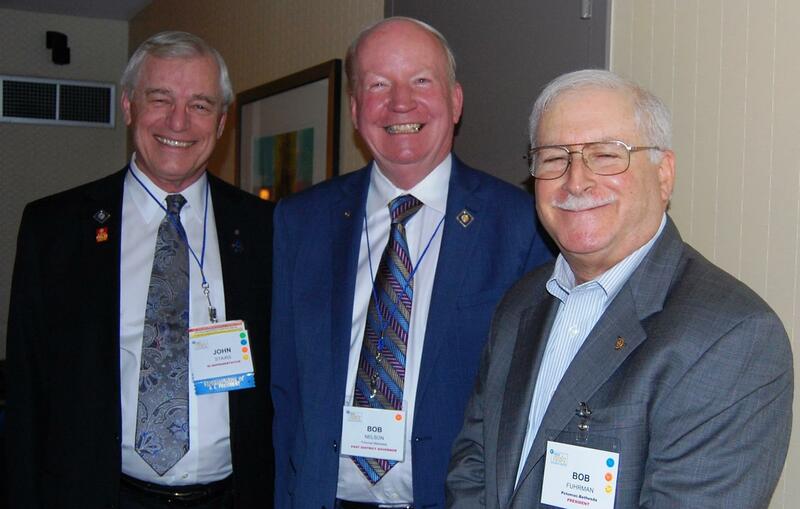 [L-R] Rotary International President's Representative to the District 7620 Conference John Stairs, Bob Nelson and Potomac-Bethesda Rotary Club President Bob Fuhrman at the Montgomery County Clubs' Hospitality Suite on April 9, 2016. 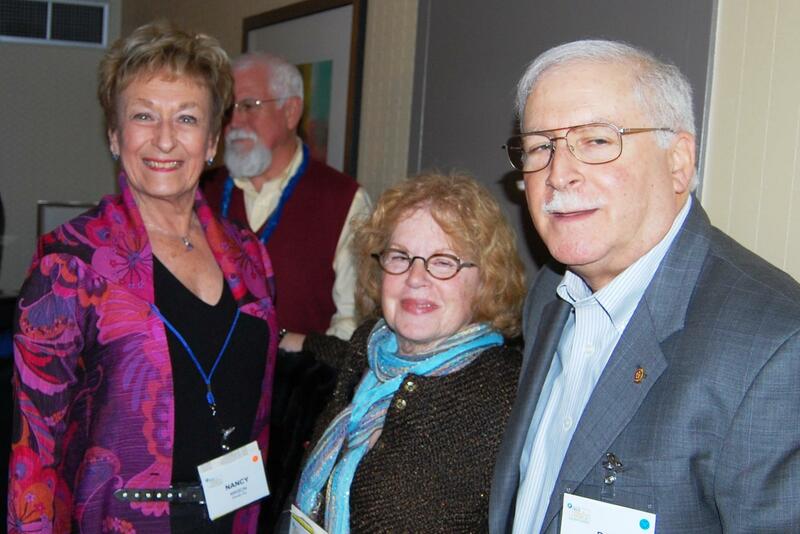 Nancy Mason, Nan and Bob Fuhrman. 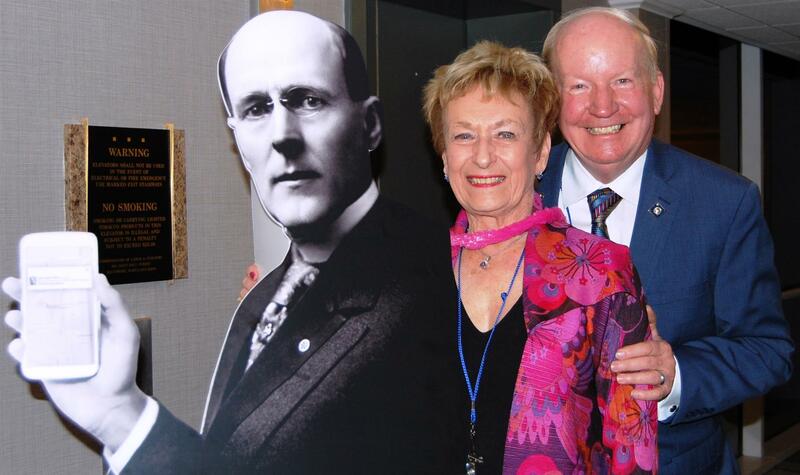 [Above] Nancy Mason and Bob Nelson with "Paul Harris." 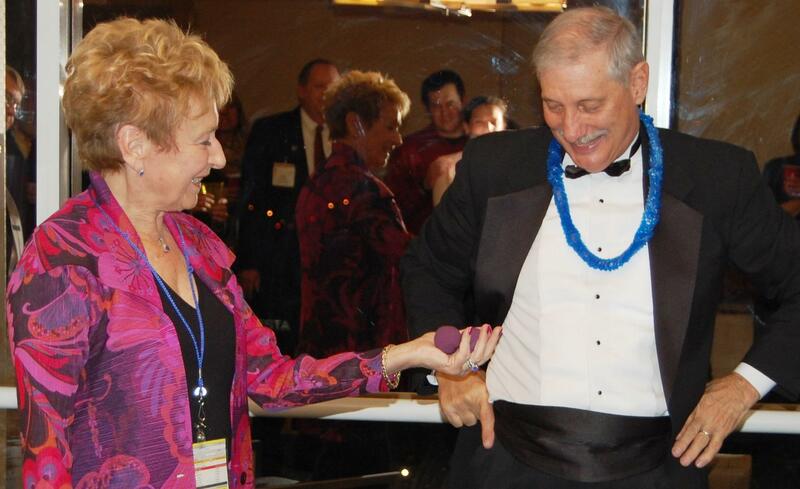 [Below] Nancy assists with magic tricks.